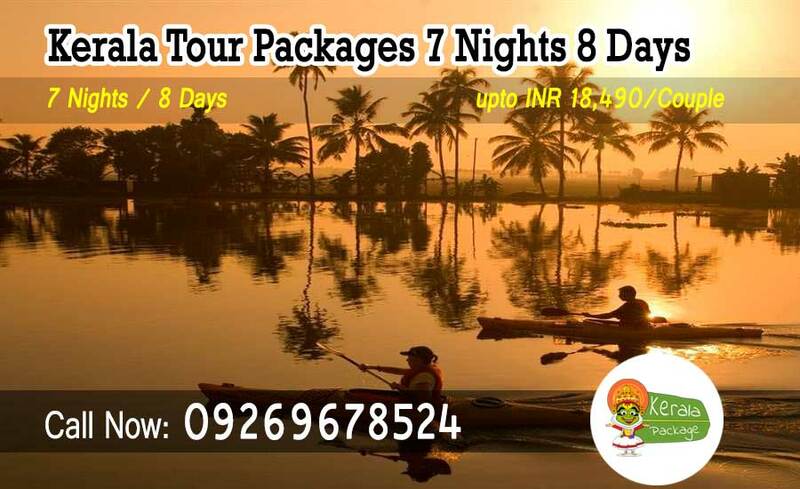 You can customize your 7 nights 8 days Kerala packages as per your requirement (duration, No.of persons, hotels and sightseeing etc.). We also manage all kinds of Kerala tour services such as flight, train, hotel, bus and car rentals. Kerala is an all in one place it has almost everything to offer, be it scintillating nature or lip smacking food. It is popularly dubbed as God’s own country and has every rhyme and reason for it to be called that. Kerala tour package for 7 nights and 8 days is the package you can opt for without giving a second thought. You can explore a lot in these 8 days. You can book a package at the earliest that too at dirt cheap rates. Kerala is a place which one cannot afford to miss for sure. So in order to make sure you have the best package in the lot 8 days package is an apt package to make sure you explore everything to the best. 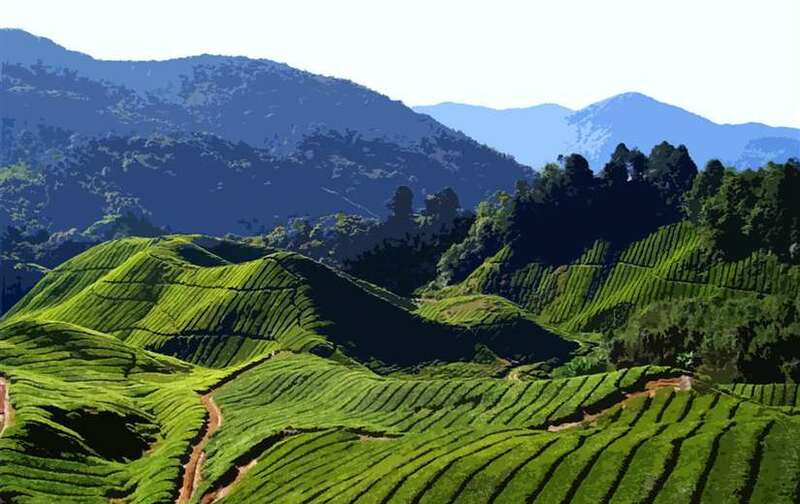 Munnar is a beautiful hill station home to Kerala. The beauty of the hill station is the weather is pleasant through out the year. Then there is another place known as Alleppey known for backwaters. You can have a luxurious boat stay and make your trip worth the visit. Thekkady is a beautiful place which is the hub for wildlife. Wildlife lovers can for sure visit the place anytime they wish to. A trip to Kerala can revivify your souls for sure. You cannot afford to miss the beauty of Kerala. You should once in your lifetime visit God’s own country. So people who are looking for a trip which can bring them back to life should visit Kerala the earliest for sure. 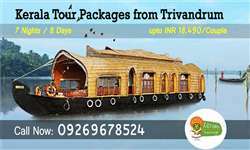 This Kerala tour package 7 nights 8 days provides Munnar, Thekkady, Alappey, Backwater houseboat, Kovalam, Kanyakumari and top touring destinations of Kerala. 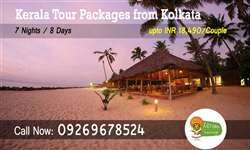 You can hire our Kerala tour package for couple or you can plan your own Kerala tour packages, as suitable to your budget or desire. Here we assure you 100% satisfaction guaranteed with our travel facilities.